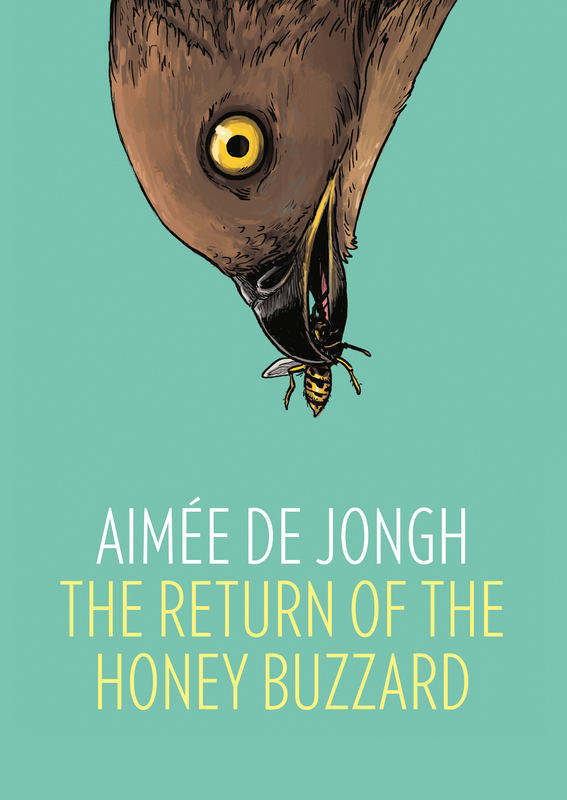 Set for release next month from London-based publisher SelfMadeHero, Aimée De Jongh’s The Return of the Honey Buzzard tells the tale of Simon, a third-generation bookshop owner who witnesses a woman committing suicide, the shock of which dredges up all manner of previously suppressed memories from his childhood. As he struggles to deal with the guilt over his past actions – or inactions – he meets Regina, a young student with a shared interest in books, and their blossoming friendship helps Simon work his way through some of the unresolved issues that have plagued his adult life. The book recently won the Prix Saint-Michel in Brussels, an achievement which is doubly impressive when you consider the fact that this is De Jongh’s debut graphic novel offering (although she is an accomplished illustrator and comics artist, having self-published her first comic book at just seventeen years old). In fact, De Jongh comes across as nothing less than a seasoned pro here, displaying a firm grasp of sequential storytelling and a wonderful, almost cinematic approach to her narrative flow that really helps the emotional beats of this story jump off the page and grab you with both hands. Beautifully illustrated in a black and white style which appears almost frantic at times, ebbing and flowing with the pace of the story, the detailed visuals do an impressive job of underscoring De Jongh’s powerful narrative, with Simon himself wearing the pressures of his troubled life like a mask, complete with dark bags under his eyes, unkempt hair and a continually anxious expression. As a protagonist, Simon is a truly engaging creation. Not particularly likeable (or indeed unlikable) it has to be said, but still a thoroughly captivating and utterly relatable human being. Like many of us, he has things in his past that he chooses not to remember, and like many of us, he is deeply flawed in a lot of fairly substantial ways. Watching the facade that he has built up over the years gradually crumble around him during his chats with Regina makes for utterly compelling reading, and the final pages offer an impressively moving conclusion to this particular chapter of his life. The denouement of the book is perhaps a little heavily signposted, but manages to lose none of its impact thanks to De Jongh’s measured execution. The themes of ‘moving on’ are tangible throughout the entirety of the story, from Simon’s steadfast refusal to sell his father’s bookstore to the titular Honey Buzzards themselves – a species of bird in which couples migrate separately, waiting only fleetingly for their mate to arrive at the other end before quickly making the decision to carry on without them. A powerful contemplation on the nature of loss, guilt, regret and ultimately hope, The Return of the Honey Buzzard is a delicate, fascinating tale with some genuine emotional heft behind it. Highly recommended.